UND President Mark Kennedy’s new book zeroes in on how political, regulatory, media and activists can shape – or shift – business practices. Photo by Shawna Schill. 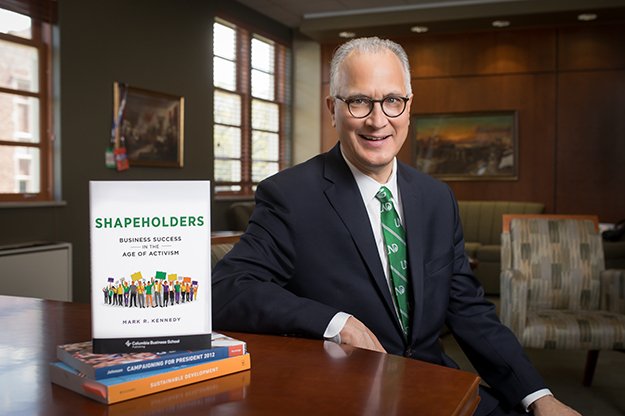 The subject of a new book by UND President Mark Kennedy, Shapeholders: Business Success in the Age of Activism, zeroes in on how political, regulatory, media and activists can shape – or shift – business practices. The “shapeholders” term was coined by Kennedy’s son, Charles. “Companies are often out of their element when talking to shapeholders, resulting in more conflict,” said Kennedy. His book discusses engaging shapeholders in the long term to both advance business and benefit society. The book is a result of Kennedy’s global expertise. After he left Washington, D.C., the former Minnesota Congressman took a trip around the world. Like the protagonist in the classic adventure novel, Around the World in Eighty Days by Jules Verne, he began in London and spoke at the Reform Club, which was founded in 1836. Kennedy’s talk, “Focus to Finish First,” postulated that the world is now so global and competitive that there is no choice but to be No. 1 in what you do. 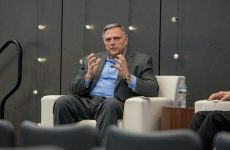 “Business professionals agreed with that premise,” said Kennedy, but they felt he should focus on the intersection of business, government and global arenas because so few had his type of experience: he served as a senior executive at Macy’s, presidential advisor, academic, and had actively engaged leaders in more than 40 nations over three decades. So Kennedy began teaching courses on business statesmanship and business success in the age of activism. He conducted a research project at the University of Pennsylvania, taught at Johns Hopkins, HEC Paris, New York University, and Notre Dame. Later, he was recruited to George Washington University, where in addition to leading a school, he taught a MOOC (Massive Open Online Course) on Shapeholders and led courses on public affairs around the world. Kennedy continued refining the course, teaching it around 15 times. 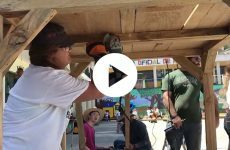 “Every time I taught the course, I learned from the students,” Kennedy said. That led to Shapeholders, which he wrote during vacations and spare time. He credits his wife, Debbie, for her patience. Kennedy developed a framework to engage shapeholders that takes a long-term view and offers steps for success, a decision matrix and strategies for winning. 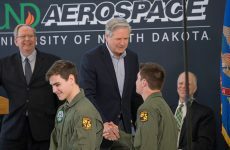 That’s why, when he came to UND, he saw the University as the chief opportunity engine in the state that could benefit everyone, including students, the state and society. Also, he said, there is a need to anticipate the future of the University, and to be prepared for both challenges and opportunities. “When something happens, there is little reaction time,” Kennedy said. His goal is to develop coalition partners and be in a better position, thinking about any possible crisis ahead of time. Kennedy hopes to apply his strategies as he leads UND, and he also would like to see the class taught at the University. Last semester, Patrick O’Neill (Economics) and Dana Harsell (Political Science) used the book for their POLS/ECON 503: Business and Government class to help students prepare for a trip to Washington, D.C.
And, of course, he wants to see his ideas bear fruit.